I love the close up portrait. Incredibly beautiful. 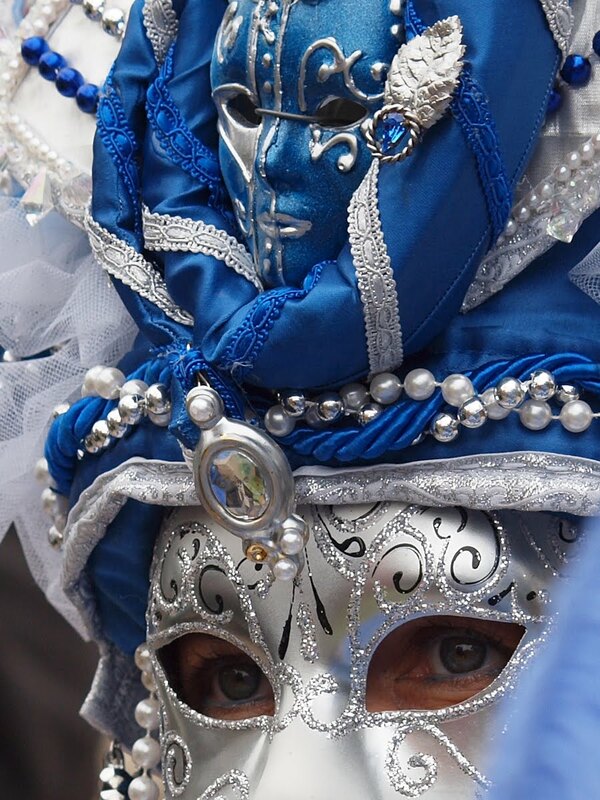 A few years ago Pierre from Venice posted some similar astonishingly gorgeous masks. Aren't they terrific; t'would be fun to wear. I have a very small collection of wall masks and love them and the whole idea of using masks. That's brilliant. Love the double face. That's a fantastic Venetian mask! And that couple sports some extraordinary costumes! 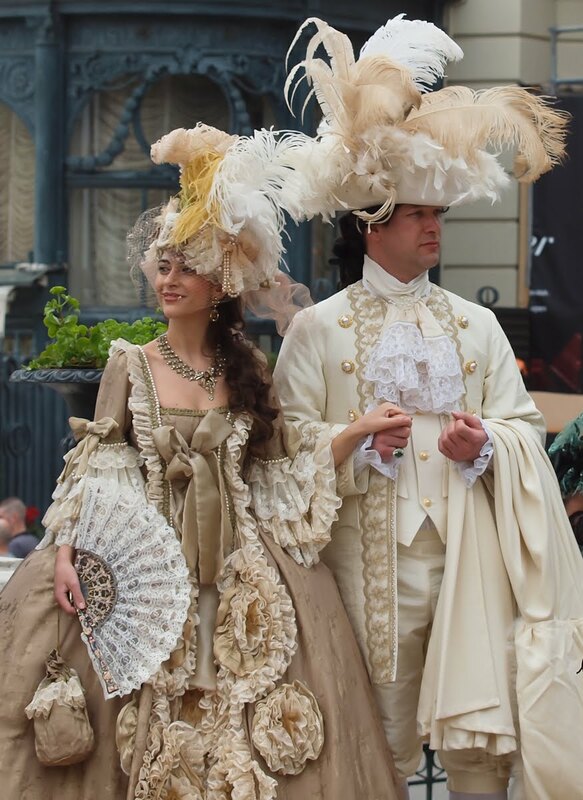 Fun to have Venice come to Monaco! great close up of the mask...what a great dress up day!